Amsterdam Genetics is a seed brand that had been established by some of the best-qualified experts in the cannabis industry. Their experience goes back all the way to 1985, and this experience definitely shows looking at their impressive range of medicinal, feminized and regular cannabis seeds. Among the goals of Amsterdam Genetics is to always provide the best quality of seeds that are consistent and reliable. Their seeds have some of the best grow rates on the market, and they are one of the only breeders who produce their top quality seeds in Holland. White Choco by Amsterdam Genetics is hugely popular in the Netherlands because she brings some stellar qualities on the table. It’s really difficult to say what’s better: her awesomely spicy and sweet chocolate taste or her outstanding high that can be uplifting or relaxing. Try this great strain but don’t be surprised if she becomes your favourite! Combining the great qualities of an OG Kush with that of an AK-47 seems like a cannabis smoker’s dream come true. And indeed, the new AK-OG Kush by Amsterdam Genetics can deliver! This is a spectacular, very potent Indica that shines with good medicinal potential, big yields and great flavour! Tangie has recently become quite popular among cannabis enthusiasts, who love her because of her spectacular citrus aroma and potent effect. Amsterdam Genetics realized the potential and took Tangie’s qualities and combined them with an oldschool Kosher Kush. The outcome is a stellar new hybrid that impresses with superb fruity flavour and equally great Kushy undertones. The experienced breeders at Amsterdam genetics created their Pineapple Kush for medicinal cannabis users who want a great-tasting yet very potent strain. But this superb cross between a tasty Pineapple and an oldschool OG Kush could easily become a new favourite for many cannabis enthusiasts who simply want a powerful smoke that tastes spectacular! 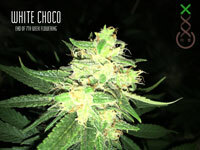 Kosher Choco Kush by Amsterdam Genetics takes their popular White Choco to a new level. This great new strain gives us the great flavour of their White Choco but now adds some serious growing vigour and the potency and effect of a Kosher Kush. Out comes a fantastic Indica/Sativa hybrid that definitely won’t disappoint! Amsterdam Genetics’ AK Choco Kush is a mostly-indica hybrid that gives us the potency of the AK-47 but now with the lovely sweet smell and taste of the Choco Kush. With her heavy-hitting very relaxing indica body buzz she isn’t just a great smoke for the ultimate in relaxation but can also bring some good medicinal potential to the table. When Amsterdam Genetics introduced their new Green Magic, it didn’t take a long time at all until this indica found a large number of enthusiastic followers in the coffeeshops of Amsterdam. No surprise there, seeing that this fabulous hybrid can impress with a superb mix of flavour notes as well as an intense and very relaxing indica buzz and some good growing qualities. Tangerine G13 by Amsterdam Genetics is an award-winning indica/sativa hybrid that can score with a plethora of qualities. With 20% of THC in her smoke she is extremely potent and makes for awesome relaxation together with a nicely uplifting sativa note to it. Her flavour blends sweet and fruity notes perfectly, so that enjoying her is a truly mouth-watering experience! Amsterdam Genetics hit a home-run with their latest creation, the spicy Blue Magic. This indica-dominant hybrid has a unique aroma and taste, and thanks to its very high THC content, delivers an awesome indica effect. Truly magical, fast-hitting, and potent to boot, this is the perfect smoke for chilling, relieving stress, and soothing sleep troubles. AK-47 is one of the most famous cannabis strains, and for (many) good reasons. Growers appreciate her reliability and production potential, while smokers love the strain for its great taste and superb high that is both energetic and relaxing. AK-020 Autoflower is Amsterdam Genetics’ own take on a cannabis legend, delivering all the best qualities in the form of an easy-growing autoflower. Amsterdam Genetics presents us with another stellar auto in the form of White Choco Autoflower. Just like the original, White Choco Auto pleases with a wonderful spicy taste with sweet chocolate notes. With 18% THC, she provides a nice, intense body buzz that is euphoric and uplifting. This lady makes a wonderful smoke for medicinal users who want relief from stress and sleeping troubles. New to Amsterdam Genetics’ line of top strains is their own variant of a Dutch classic: the legendary Super Silver Haze! This hugely popular strain delights with a great aroma and a rich, satisfying smoke that entrances even spoiled cannabis connoisseurs. Her spectacularly powerful and long-lasting head high, which is upbeat and energetic, make her an all-time favourite. Amsterdam Genetics took the popular coffee shop favourite Amnesia Haze and gave her the avalanche of flavours contained in the Caramella. The result is a world-class sativa-dominant hybrid that delights your senses with out-of-this-world rich sweetness and a powerful stimulating and uplifting effect. White Choco Haze combines the awesomeness of Amsterdam Genetics’ White Choco with that of a potent Haze. The result is a powerful sativa that delivers a nice uplifting and creative sativa high paired with an amazingly tasting smoke. Her potency and uplifting effect makes her especially well suited for stress relief. The Choco Kush Auto is Amsterdam Genetics’ very first autoflower. It sure speaks for the experience of these Dutch expert breeders that she turned out spectacular despite being their debut in autoflowers. To top this up another notch, this strain is the world’s only autoflower that contains White Choco genetics, ensuring an amazing chocolate taste and with 21% of THC some serious potency! Amsterdam Genetics took one of the most popular Haze varieties, Amnesia, and crossed her with the celebrated Blue Dream strain to create a sensational new autoflowering hybrid that combines the uplifting nature of a sativa with awesome indica potency. A superb mix of sweet and spicy flavours and a powerful, narcotic effect will lift your mood and destroy stress with each exhale. Refreshing your mind and your senses, Lemon Ice by Amsterdam Genetics offers you a friendly and uplifting high that will boost your spirits. Your taste buds will love the deliciously sweet citrus flavour, adding to an outright amazing smoke experience. Growers will love the extraordinary yields and the very short flowering time of this fabulous lady! Amnesia Haze is a brand-new addition to Amsterdam Genetics’ range of strains. A top-favourite in the coffee shops of Amsterdam, this potent sativa-dominant hybrid has a fresh herbal aroma with hints of citrus. Thanks to a THC content up to 25% of THC she delivers a powerful psychedelic head buzz and makes a fabulous daytime smoke! Amsterdam Genetics is one seedbank that’s really turning heads in the industry. Started by the owner of the infamous Boerejongens coffeeshops in Amsterdam, this seedbank is receiving global attention as the creator of some of the most sought after strains available today, including White Choco, AK-47, AK OG Kush, and many more. Amsterdam Genetics was founded by Mariska, one of the leading female entrepreneurs in the cannabis industry. Mariska first discovered her passion for cannabis when she started working at a coffeeshop in Amsterdam during her university studies. When she was ready to make a definitive career choice, the decision was easy. 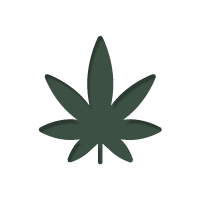 “I literally took the Yellow Pages and my finger landed on a company specializing in nutrients for cannabis. Thus my adventure began. I learned all about the breeding, growing, and harvesting process, from the clone until the harvest,” Mariska said in an interview with Leafly. A few years later, after learning the ropes about all things cannabis, Mariska bought her first coffeeshop, which would become the first Boerejongens in Amsterdam. Today, Mariska owns 3 separate Boerejongens as well as Amsterdam Genetics. floors, and, most importantly, professional staff with expert knowledge about their products. For a quick tour of one of the Boerejongens stores, check out this video. For Mariska, this is all about offering professional, reliable service to her customers. “The shady image that some people still wrongly associate with coffeeshops disappears very quickly if I start talking.Too many people don’t get that a coffeeshop is just a store. Apart from the backdoor problem, you can compare it to a wine shop,” she said. All Boerejongens staff are expected to take up to 3 3 continuing education courses every year in order to stay up-to-date about their products and the latest developments in the industry. Amsterdam Genetics’ success started with the White Choco, a powerful hybrid cross between White Russian and Chocolope. The strain boasts a powerful, uplifting cerebral buzz that is designed to leave users feeling creative and productive. At the same time, it offers some nice physical relaxation that’s far from overwhelming. Mariska soon began branching out into hash production and saw huge success. Her White Choco block has was so popular that Amsterdam Genetics’ couldn’t meet customer demand. But, being a true entrepreneur, Mariska quickly took production to Morocco, the world’s hash capital. Today, Amsterdam Genetics’ White Choco Block Hash is regarded some of the finest in the country, while their Tangerine G13 block hash and Kosher Tangie block won first and second prize in the hash category at this year’s Highlife Cannabis Cup. All of their hash products are made using traditional dry sieving methods, and only use the first sieve to ensure the highest possible quality. Finally, their hash is pressed while warm, giving it a beautiful deep golden colour. If you’re dying to get your hands on some of these strains, you’re in luck. All of Amsterdam Genetics’ most popular seeds are available through Zamnesia Follow the link below to start browsing our stock and get the highest quality seeds delivered direct to your door. For more information about Amsterdam Genetics and their impact on the cannabis industry, check out this blog article. Amsterdam Genetics is focused on professionalism and quality, both of which shine through with their packaging. All seeds come packaged in a resealable plastic ziplock bag to protect the seeds during shipping. The pack also comes complete with moisture beads to ensure the seeds are kept at maximum humidity levels throughout. All Amsterdam Genetics packages also come with expert instructions on how to care, store, germinate, and plant your seeds. To top things off, all customers also get a pack of custom-designed matches. All Amsterdam Genetics strains are packed and shipped discreetly, taking into account all factors that may jeopardize your privacy. Amsterdam Genetics is behind some of the most sought after strains currently available. Scroll down for a quick look at some of their biggest stars. To order your Amsterdam Genetics’ seeds for these strains and many more, start browsing Zamnesia today. For more info about Amsterdam genetics, click here. White Choco is, without a doubt, Amsterdam Genetics’ most sought after strain. A 50-50 cross between White Russian and Chocolope, this strain produces very uplifting effects and boasts exceptional aromas and flavours. The strain can be grown both indoor and outdoors. Indoor plants will grow between 120-150cm and produce yields of about 400g per plant. Outdoor plants, on the other hand, will flourish, growing over 300cm tall and producing yields of over 600g per plant. Flowering time for White Choco plants is 9 weeks. While that is a little longer than some other strains, the end product is well worth the wait. White Choco buds boast a delicious aroma with hints of chocolate, spice, and sweet undertones. It is cherished for producing very uplifting effects that leave users feeling creative and productive, while also producing mellow physical relaxation. This is another of Amsterdam Genetics’ best selling strains. As a indica-dominant hybrid between AK-47 and OG Kush, it is known to produce a very strong physical buzz. Similar to White Choco, AK OG Kush has a flowering time of roughly 9 weeks and is known to flourish outdoors. Depending on conditions, indoor plants usually reach between 120-150cm tall and produce yields of about 400g per plant. Outdoor plants will grow to about 250cm and produce yields of up to 600g per plant. AK OG Kush buds are very resinous and boast a pungent spicy aroma with earthy undertones. This strain produces very strong physical effects, thanks to its high THC content (roughly 22%). When used medicinally, this strain may help to relieve pain and insomnia. At the same time, it’ll leave you feeling happy, and very relaxed. AK-47 is a classic strain that any home grower should be looking to have in their garden. Using the best Colombian, Mexican, and Afghani landrace genetics, Amsterdam Genetics have created a powerful hybrid with long lasting effects. This strain has a flowering time of roughly 8-9 weeks. Indoor plants will grow between 120-150cm and produce yields of roughly 500g per plant. Outdoor plants, on the other hand, will grow upwards of 200cm and produce similar yields, making it ideal for indoor growth. AK-47 buds are very beautiful, featuring a frosty layer of crystals and a healthy sprinkle of bright red pistils. They boast a delicious, pungent aroma with both sweet and spicy notes. With an average THC content of about 20%, this strain produces very long lasting effects of happiness, euphoria, and relaxation. Kosher Choco Kush is a s cross between Amsterdam Genetics’ White Choco and Kosher Kush strains. A 50-50 hybrid, it produces long lasting euphoria and promises great yields. These plants usually flower within 8-9 weeks and are perfectly suited for indoor growth. Indoor plants usually reach heights of 100-150cm and produce yields of 450-500g per plant. Outdoor plants usually grow between 200-250cm and produce yields of 400-500g. Kosher Choco Kush buds are so packed with trichomes they can almost appear to have white tinges. They boast a beautiful aroma, combining hints of earthy pine and chocolate. With a whopping 21% THC, this strain produces a lot of relaxation, euphoria, and overall happiness. However, be prepared to be feeling sleepy if you consume too much of this stuff.